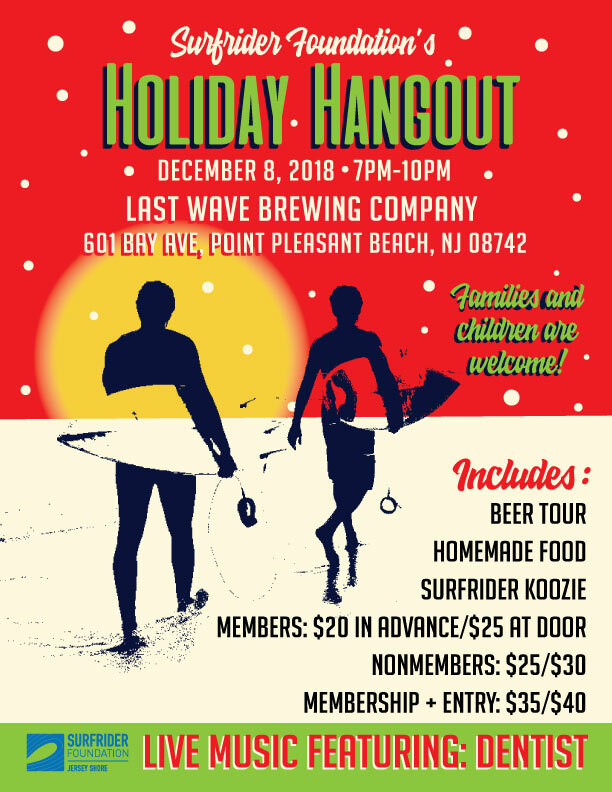 We’ve rented out Last Wave Brewing Co for our 2018 Holiday Hangout and Membership Drive this year! Come out and enjoy Last Wave’s incredible selection of brews, homemade food, live music by Dentist (Band), free Surfrider koozie (while supplies last), raffles and more! Memberships are a great gift for the holiday season. Come renew yours, give the gift of membership to someone you love, connect with old friends and make new ones. Eventbrite to be posted soon for tickets in advance! Last Wave Brewing Co is located at 601 Bay Ave, Point Pleasant Beach and is a short walk from the Point Pleasant Beach train Station.